Pretty sure Kain and Lynch is terrible, but that's just what I've heard. I started playing Valkyrie Profile: Whatever it's called for the DS. It's an interesting twist on strategy games, but I get a little annoyed with how much I have to focus on overkilling enemies in order to get the good rewards. Otherwise it's fun and has challenged me a couple times, which is more than I can say for a lot of strategy games. I prefer Ogre Battle: 64 given this one has a fighting system ripped off of Final Fantasy Tactics, so not very innovative. I'm not sure you can talk of "rip off" when FFT is merely an Ogre Battle game with a Final Fantasy skin in the first place. Just about wrapped up Fable II. I might come back to it to finish up some of the side quests. Started up a new game of God of War II last night. I never actually finished my first play through so just figured I should start from the beginning. Can't believed I wanted so long. Fantastic game. Inspired by my recent fighting game kick, I was messing around with different Mugen games, like the improved Mortal Kombat Trilogy (including every iteration of the characters, like MKI Reptile) and a couple of promising Mortal Kombat vs. Street Fighter games that ultimately disappointed. I really wish someone took the Mortal Kombat vs Street Fighter idea and really did it justice. 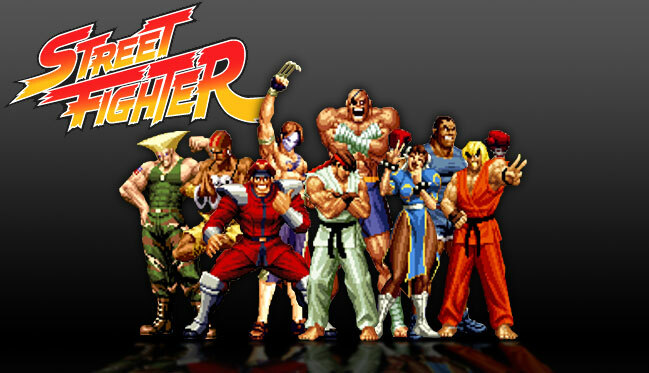 I'd basically make it MKII vs SFII and use the SNK vs Capcom Chaos sprites for the Street Fighter characters. Throw in every combination of MK or SF control schemes and options with all characters, and keep it conservative otherwise (don't do too much, and what you do, do well), and it'd be a lot of fun. It's unfortunate that virtually every MK iteration after MK4 turned out to be terrible. I wish they'd just hand the title off to someone who actually knows what they hell they're doing instead of making terrible dial-in combo games and random mashups (wtf DC?? that makes NO sense at all). Currently playing Rise of the Argonauts and Jade Empire. I'm blown away by the graphics on this game, the characters look better than Silent Hill Homecoming. I was playing the ps2 berserk game only to fight zodd, I don't go any further since I don't know what they are saying :(. Now i just switch from Company of Heroes or Warcraft III dota mod. I was playing the ps2 berserk game only to fight zodd, I don't go any further since I don't know what they are saying :(. ...I can't believe I just read that. No, maybe I can. Maybe I can. You sully Matsuno's work with your comments. Anyway, I'm playing Dragon Quest IX at the moment. I've got a lot of games lined up, unfortunately. Waiting for batman I cant stop playing the demo. I uninstalled mine as soon as I finished it. It was fun, but the demo was such an experience on a wire I can't imagine it would have much replay value. You're just getting to that one eh? Its definitely on my Top 5 of all time. I'm just starting Homecoming myself. Also just finished Fallout 3, and have been playing Prototype, which is a pretty amazing game in many regards. Definitely something everyone should try. This is true but for someone who has been waiting on a good batman game to come out in a long time, I don't want to trash the experience just yet since I like finding different ways to take out the baddies. I do enjoy what could do in this game and cant wait to see what other items you can use. Nah I'm just replaying it to get the Heather beam. Silent Hill 3 has quickly become my favorite in the series. Yeah I should get around to finishing Fallout 3 one day. Finally finished getting 1000/1000 (Pre-dlc achievements) on Resident Evil 5. It's pretty amazing how powerful unlimited rockets are. Replaying Shadow of the Colossus in hard mode(which I got after beating it the first time) . Here I come! I just finished playing Shadow of the Colossus about 2 days ago in 4 hours. I think I can get a better time than 4 hours hopefully the next time I try, for now I am playing Final Fantasy 1 & 2 for the PSP. DQIX is on hiatus until I have a LARGE chunk of time for it. Shadow Complex for the moment. Nostalgia everywhere. Playing Fable at the moment. I'll probably get this next. Is it as good as they say? Fable or Fable II? I need to get Fable II again, as I was pretty close to the end but never got a chance to "finish it." As for Shadow Complex, I'd say it's a very good game. Though the reviews would tell you it's God's gift to mankind, the story is pretty bare-bone cliché. Obviously, the old Metroid feel is there pretty quickly. Backtracking feels a bit rewarding. The 3D environments are done so well that sometimes I feel like I'm almost able to explore more than just the 2D realm in it. I'd recommend it purely as a support for great games on the Marketplace at $15 instead of mediocre rehashes at $10 that may have no replay. I'd recommend it purely as a support for great games on the Marketplace at $15 instead of mediocre rehashes at $10 that may have no replay. I like how you think. I'll be getting it sometime soon.